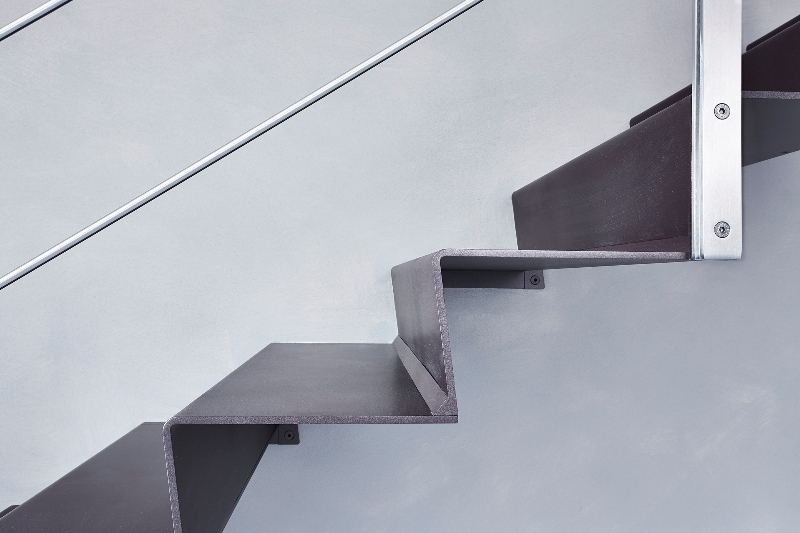 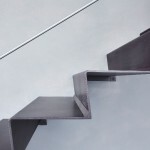 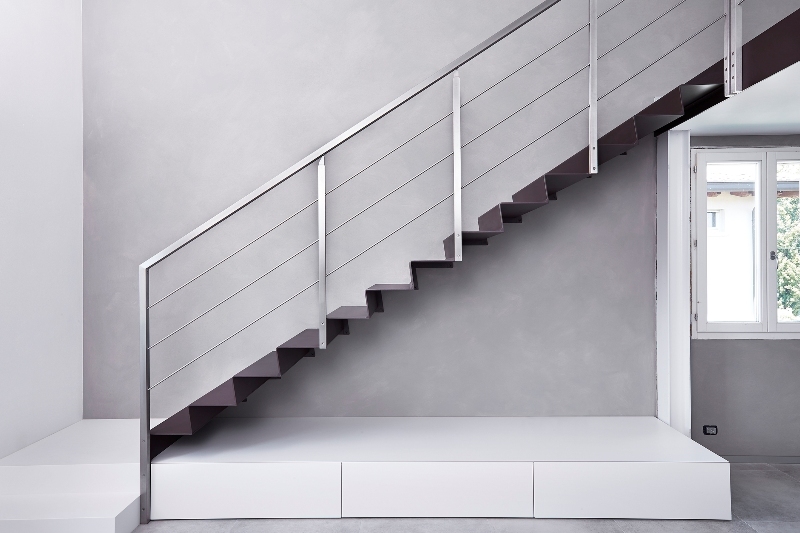 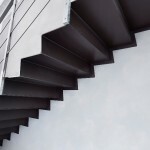 Cantilevered stair with closed riser. 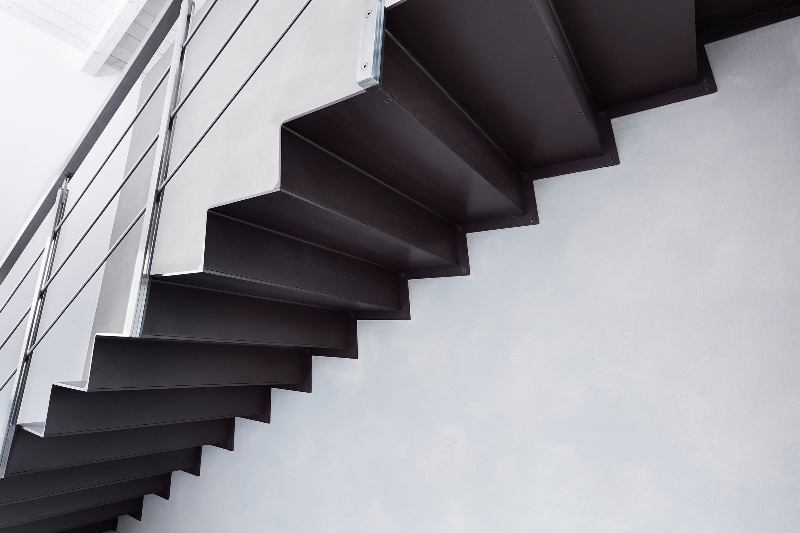 Modular ribbon-shaped structure in folded metal sheet, sloping rise. 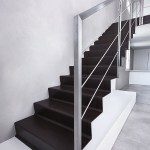 Painted with micaceous iron glaze, 609.0420 finish, brown. 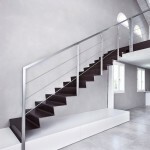 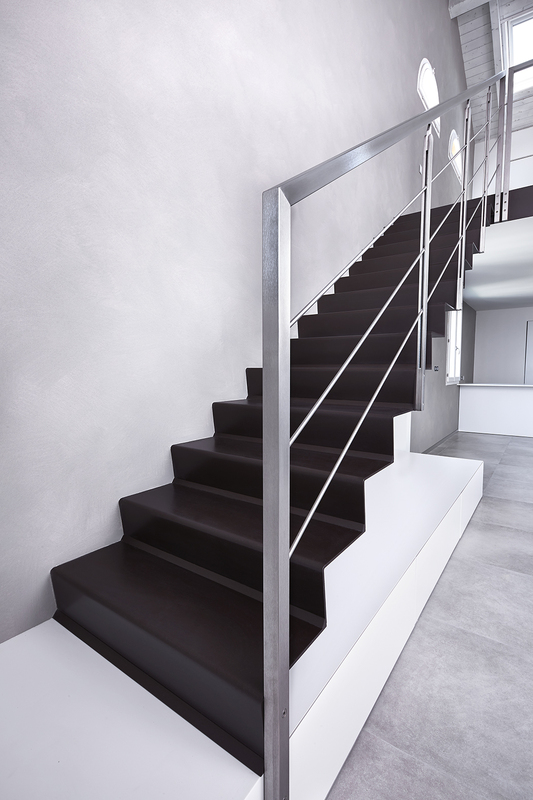 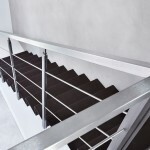 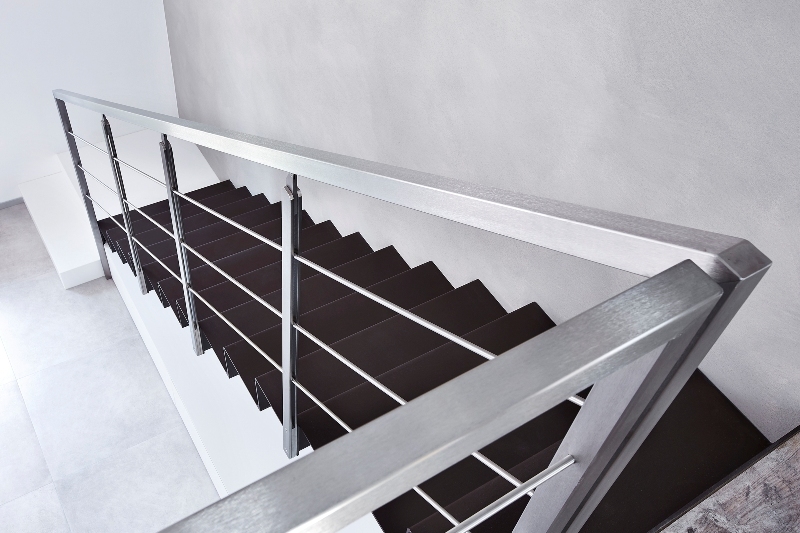 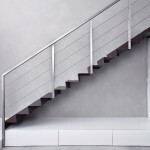 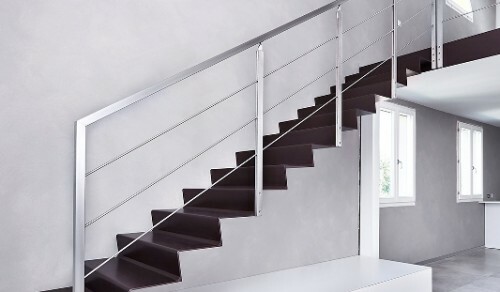 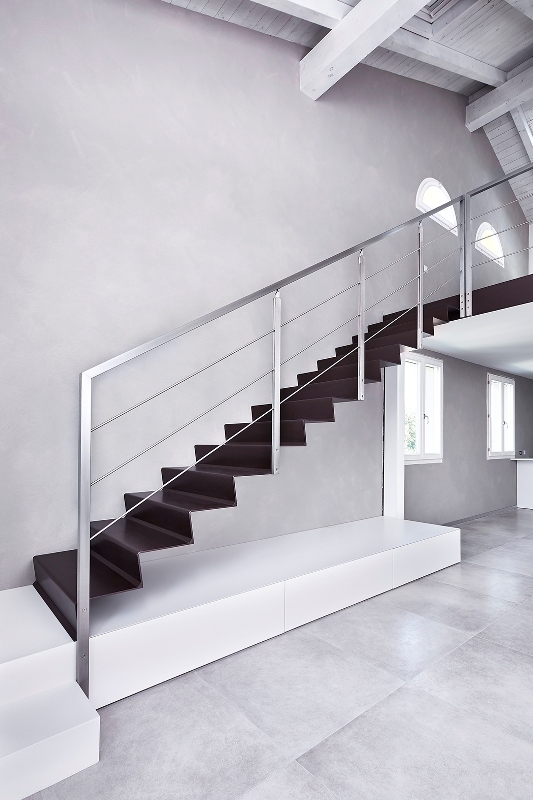 TQ44 INOX banister: 3 satin-finish stainless steel rails, handrail and spindles with square satin-finish stainless steel tube, intermediate spindles with satin-finish stainless steel double plate.